Cozumel Seaside Retreats specializes in direct Cozumel Vacation Rentals, Oceanfront Condos and Apartments. Contact us directly with no middleman. Your Cozumel Real Estate in the Mexican Caribbean. Book a Cozumel Vacation Rental and experience the total privacy and comfort of your own Cozumel Oceanfront Condo, just steps away from the crystal clear Caribbean Sea. Since we live on the island we have carefully and personally selected each of the unique condos in our rental pool; unlike others, we only promote the Cozumel Vacation Rentals we directly own or manage; we are on site in Cozumel and we can guarantee you the most attentive and detail-oriented customer service. We want you to love Cozumel as much as we do! Please browse our selection of Oceanfront Vacation Rentals on the Island of Cozumel, Mexico and treat yourself to a rejuvenating “Cozumel Seaside Retreat”. The most exclusive selection of Cozumel Accommodation available for rent on the island of Cozumel, Mexico. 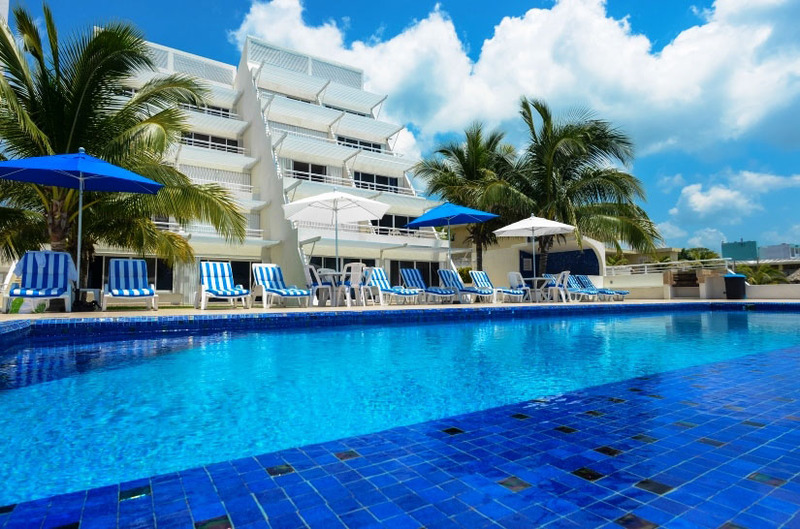 Unlike many high rise complexes in Cozumel Island, Miramar Condos Cozumel with just 12 units, has a wonderful intimate atmosphere where you can relax in peace and quiet by the oceanfront swimming pool. 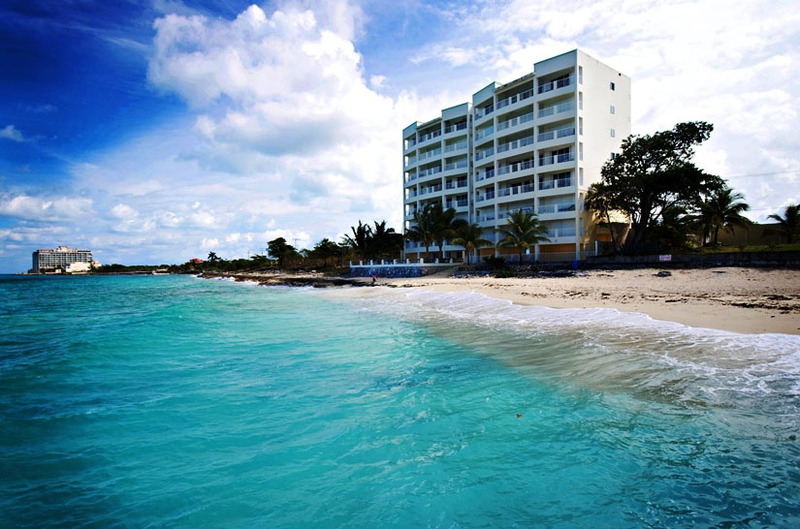 Nah Ha Condos Cozumel is an 8 story building with 16 luxury condos; each condo has 3 bedrooms and 3.5 bathrooms. With easy access to Cozumel town, excellent off shore snorkeling, and fabulous sunsets over the ocean. Las Brisas Condos Cozumel it’s a 7 stories building with spectacular views. Las Brisas Condos has a terrace overlooking the sea as well as on the jungle side. Located about 2.5 miles from town, right on a sandy beach and fabulous sunsets over the ocean. Puesta del Sol Condos Cozumel, which honors its name (Puesta del sol means “sunset” in Spanish ) will show you unique Cozumel Island sunsets, with just 8 floors and 14 units has a wonderful intimate atmosphere. If you fell for Cozumel Island as we did and if you want to own an oceanfront property in this paradise, let us introduce you to the finest Cozumel Real Estate. Watch the amazing video of Cozumel! Miramar #301 has everything and more. A beautifully appointed 3 bedroom unit with a balcony at palm tree height overlooking the blue Caribbean Sea. My husband and I had the second bedroom which had its own bathroom with a very large shower with great water pressure. I liked that the apartment had dual air conditioners so I could control my own temperature which assured a good nights sleep. The unit is spotless, housekeeping service was every second day - and done with a smile. One of the couples took advantage of the Chef coming by to cook a meal for us - a great experience which I also would recommend. The location is perfect, you can jump right into the ocean from the diving board or lounge by the pool. We found a yoga class two building away so usually started our day that way. The walk to town is only 40 minutes or a 75 pesos taxi ride. Without hesitation I would definitely recommend that you come to Miramar #301. Great location top- notch management! Miramar 202 This is a lovely building and location. The unit we stayed in is really nice and has most anything you'd need. Management is really committed to making your stay as worry free as possible. You won't believe the sunsets you'll experience from this end of the island. Any complaints we have are minimal, we would have liked some hooks and additional towel bars in the bathroom, the furniture on the balcony was a little uncomfortable, but you don't come to Cozumel to sit all day in your room. I would recommend Miramar to all my friends. I would recommend this unit to my friends! The Nah Ha condos are simply the best short term rental option on the island. We have rented several of them over the years, and they are head and shoulders above their competition. Nah Ha 701 has a superior 7th floor view and extremely comfortable furnishings. You can not beat the location, the 24 hr security, every other day maid service on offer at Nah Ha. The snorkeling is also fantastic along that stretch of shoreline. You will not be disappointed. Excellent Place.Nah ha is simply the BEST! My husband and I have recently had a great week in Cozumel. We stayed at Miramar condominiums, We had such a perfect and comfortable stay. The apartment is beautifully laid out and over looks the perfect crystal clear sea. The apartment is perfectly clean and has a well equipped kitchen, aircon through out the apartment, washing and drying machines and fast wifi! The owner, Isabella was great to communicate right from my first email to her. She made my arrangements to stay in the apartment so easy. I would recommend any of my friends or family to stay at Miramar condominiums. We really enjoyed out time here at Miramar. There is fantastic snorkeling right off the diving platform and beautiful views from the pool and room! There was shade both from trees and umbrellas at the pool. It was very convienent to have purified water jugs in the room! It is only a short communute from the city and we had fun exploring the town. We would definitely stay here again! Friendly staff, clean, and outstanding location! The most amazing condo. We loved everything about this 2 bedroom condo. Just as gorgeous as the pictures. Loved the location. Everything we needed was provided for using the kitchen. Washer and dryer was a plus. Rent a car and enjoy going to all the beautiful beaches around Cozumel. Thank you to the staff at Miramar! We will be back soon! We have stayed at Miramar Condominums many times over the years. This time we were in Unit 402. We rented through Cozumel Seaside Retreats and they are a very professional group of people, attention to detail and quick in responding to any request. The unit was spotless, the place is so quiet at night it was a dream to sit on the balcony with a drink to watch the stars, or the thunder and lightening show on one occasion! We usually rent a car but taxis are abundant and you can even walk on a cool evening. If you dive, Please visit Pepe's Scuba (walking distance) the best dive shop in town. Beautiful property. Excellent management team. We loved this area on the island because it's so nice and quiet. the view you have from your balcony will make sure you will never forget this holiday.For that and more reasons we want to come back to Miramar Condos soon!! Three couples in the 45-55 age group shared this condo. It was spacious and clean and had great snorkeling out front of the unit. Onsite security and friendly staff were a plus. we enjoyed our stay and I wouldn't hesitate to recommend this rental to friends. We love the north end of the island. Usually stay at the Coral Princess or the Miramar but this condo is indeed the best accomodations we have stayed at. All the comforts of home and the amenities were superior. The bed was so comfortable and the evening sunsets from the balcony were great. Wifi, Satelite TV and Vonage were great. The only complaint we have is that it will be very difficult to stay any place else from now on. We have definetly been spoiled. 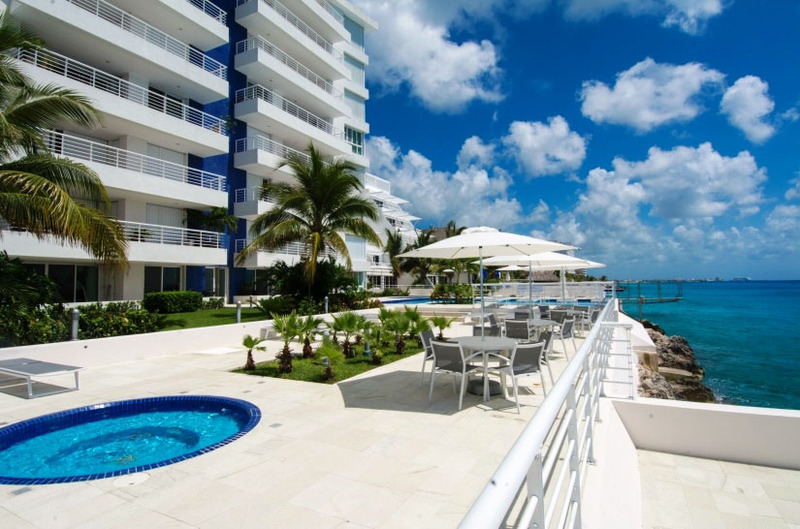 Nah Ha 701 is a beautiful, spacious condo with everything you need for a perfect vacation. We had 3 couples and plenty of space and privacy. The views are gorgeous and the grounds/pool area are well maintained. We had both divers and snorkelers in our group. Divers booked dives with a dive shop a short walk from the condo and we all snorkeled in the water in front of the condo everyday. There is a current but with fins, it was no problem. Cab rides into town were in the $6-$8 range so it's great proximity to to town but also provides a very quiet atmosphere. This was our first time in Cozumel and we loved it and this condo really elevated our whole experience. This condo was perfect for our group of two adults and 4 teens. The location is awesome and it is really easy to get around. There was never a crowded feeling that you can get at a busy resort. The leasing staff was on top of all of our request and very friendly. There was never any noise at night or worry of security. The pool and rooms were kept very clean. I would recommend this condo to anyone wanting a nice, relaxing vacation in Cozumel! Beautiful Condo with beautiful views! We stayed here with 6 people, (2 other couples) and our experience was fabulous! The ocean view suits and living area were breathtakingly beautiful and even more spectacular than pictured. The condo unit had EVERYTHING we required, and the staff was extremely helpful and accommodating with whatever we needed. We caught a taxi daily right out front, and the location of Puesta Del Sol is only minutes from town. The pool and snorkeling directly behind the unit were fabulous! We didn't want to stay in a resort this time , and we all agreed that we made the right choice. We hope to stay here again VERY soon! We spent 12 nights at Las Brisas Condos and it was great. We had 8 in our group and the condo was the prefect size for us. The sandy beach is a rare feature in Cozumel so having the beach just a few steps away was great. The staff and security was helpful and friendly and parking was never a concern. We will definitely return to Cozumel and we will definitely stay here again. My husband and I stayed in Miramar 404 for two weeks, and we thoroughly enjoyed our stay. The condo is thoughtfully appointed with a well-stocked kitchen, including oil, salt, pepper as well as herbs such as oregano and basil; access to fresh linens--we always had at least five beach towels and six bath towels at all times; ready availability of a washer/dryer as well as laundry detergent; and a host of little things that one might have forgotten at home such as sunscreen, board games, a collection of DVDs for the DVD player, and extra bars of soap. The sliding glass doors also have screens, which is a rarity in Mexico! The unit has its own modem, so the wireless signal is strong and works well. We chose Miramar because its north end location is ideal for snorkeling. Other than the two days we took part in snorkeling expeditions, we snorkeled every day in front of the condo and saw a variety of fish: sergeant majors, blue damselfish, moray eel, spotted eel, french angel fish, puffer fish, and porcupine fish among others. The coral is also quite healthy along the iron shore; to get the most out of your experience, though, we recommend that you snorkel in the afternoon when the sun's rays hit the iron shore wall directly. The water current runs from south to north, so on the days we had more energy, we would swim against the current for as long as we could and then let the current drift us back to Miramar. This concept of "drift snorkeling" was new to us, and we loved it. We also jumped into the water at Miramar and drifted as far north as we wanted to go--sometimes to the Tequila Beach Club and once all the way to Buccanos (although the current stops somewhere around the Tequila Beach Club, so you have to swim to Buccanos). We saw something just south of the Tequila Beach Club that we had never seen before--a school of around 40-50 needle fish that would encircle us. It was a bit creepy at first, but we knew they were more likely scared of us than us of them. We also saw some pretty good-sized barracuda. Miramar's location is also ideal for a taxi ride into town. When we were there at the beginning of August 2018, a taxi ride into town cost 75 pesos. To get a taxi to pick us up, we would stand in front of the condo and wave at passing taxis. Even on traffic-light days, we didn't have to wait more than five minutes for a taxi. Although we ended up renting a car for two days, one could get by on taxis alone if one wished to do so. Most of all, what makes Miramar special is the love and care of Matias, Isabella, and their staff. Matias promptly answered every email I sent, and he even let us borrow snorkeling fins, which greatly lessened our luggage load. Jose checked in with us to make sure we were getting along okay, and the cleaning ladies were friendly and very good at what they do. For all of the reasons above, we highly recommend Miramar for a tranquil, relaxing, rejuvenating vacation in Cozumel! We look forward to returning sometime soon!